Abi Mason has been involved at the FOA since 2004, she started ballet at the age of 5 and has since then taken several forms of dance including ballet, jazz, tap, and lyrical, as well as being in several productions at the FOA. She has been Clara and the in The Nutcracker Ballet, she played Alice in Alice in Wonderland the Ballet, as well as roles in musical productions such as Annie, Lès Miserables, Mary Poppins, Anything Goes, and White Christmas. Abi has taken dance intensives at the FOA as well as master classes from instructors from Ballet Chicago and UO school of dance. Abi has graduated from the T.A.P. program at the FOA and enjoys sharing her knowledge and love of dance with others. Abi loves the theatre atmosphere and hopes to one day be a hair and makeup artist for theatre. 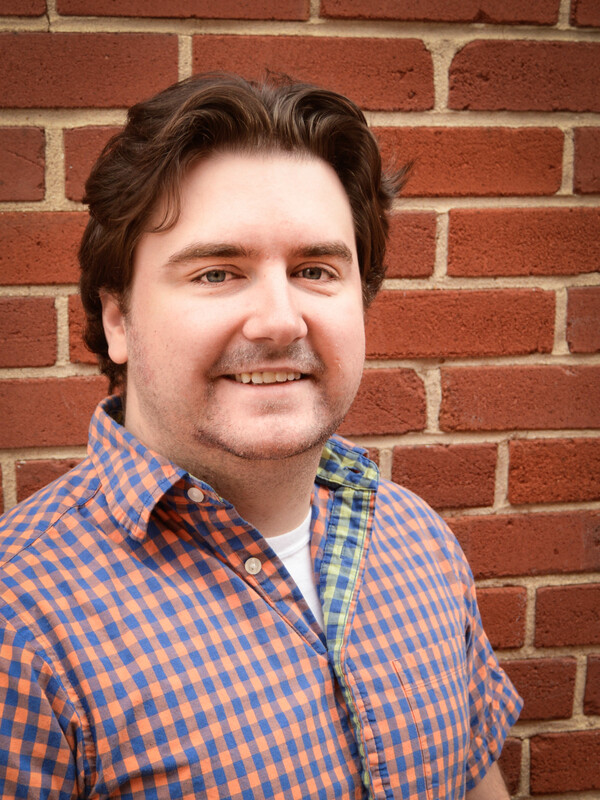 Brandon is a Jonesboro native and 10 year veteran of the Foundation of Arts. Credits include Les Miserables, Titanic, Mary Poppins, Anything Goes, The Nutcracker Ballet, and Jesus Christ Superstar, just to name a few. He also has extensive competitive All Star cheer and dance training and was a UALR Trojan cheerleader from 2008-2009. When he isn’t singing, tumbling, or dancing across the stage, you can find him being assisting patrons, volunteers, and staff at the FOA. After 30 years experience playing trumpet, Dr. Damon Wright shifted his artistic focus to vocal, piano, and character acting. He has recently appeared in Anything Goes; Darling, You Slay Me; Grease; and Les Miserable. He is currently taking tap class and continues to study stage acting and vocal performance. “I love to learn, I love to teach, and I love to perform”. David Mason is a native of Northeast Arkansas. He has been drawing, painting, experimenting with photography, or dabbling with clay for most of his life. He graduated from Williams Baptist College with a degree in Art Education in 1998. He has been teaching students of all ages how to unleash their inner artists ever since. He’s been married to his lovely wife for almost as long as he’s been teaching and stays busy with three active boys. 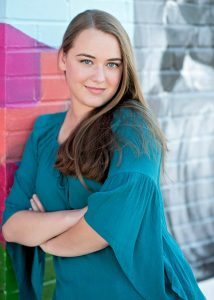 Elea Pulliam has been involved with the Foundation of Arts since 2006, when she participated as a chorus member in her first production Pinocchio. Among her favorite roles since then include Leslie in Bridge to Terabithia, Zaneeta in the Music Man, Dana in Camp Rock, Mayella in To Kill A Mockingbird, Shulie in Schoolhouse Rock, Live!, Jan in Grease, and Emily in Our Town. She joined the FOA as a drama/musical theatre instructor in the fall of 2012. In her spare time, she enjoys reading, spending time with family and friends, and participating in community theatre productions. James has been a pianist for over 40 years. He has performed for three US presidents. He currently sings in the New Beginning Gospel Trio and does piano and vocals at various country clubs and events in Jonesboro. He has been teaching piano accompaniment for over 15 years. One of his students recently won the NEA District Fair talent show and made it to the finals in Little Rock. Jennifer has been involved at the Foundation of Arts for almost 14 years. She started taking ballet classes when she was 6 and hasn’t been able to stop. She has been in The Forum’s production of The Nutcracker every year that she has been dancing except one. She has also been in numerous other ballets and plays at the Forum Theatre over the years. Jennifer is currently an ASU student majoring in education. 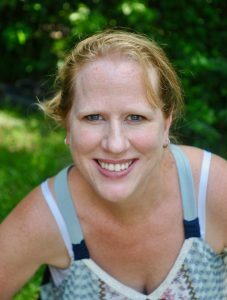 Jennifer loves sharing her love of dancing with others and is so excited that she now gets to teach ballet here at the FOA. Jessica is a native of Carlisle, Arkansas and has been dancing for almost 20 years. She started her training at Lana’s Dance Studio in Lonoke, Arkansas, where she took classes in ballet, tap, lyrical, and jazz. She studied ballet under Marla Edwards, former headmistress at Ballet Arkansas. She competed in solo and group dance competitions for 10 years, including Showbiz, Talent on Parade, Nexstar, and Spotlight, consistently placing in the Top 10. She attended The PULSE dance convention twice, studying under choreographers featured on So You Think You Can Dance. 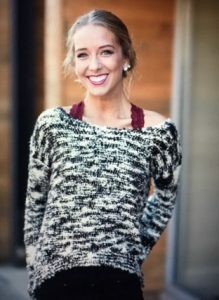 During her freshman year in college, Jessica danced with an on-campus group called “A Touch of Class” and choreographed an original routine for the Spring showcase. She became involved with the Foundation of Arts the next 3 years, performing in The Nutcracker and The Sleeping Beauty. Jessica graduated with a Bachelor’s degree in Exercise Science from ASU Jonesboro in August 2015. She is continuing her studies to become a physical therapist for dancers. In her spare time she enjoys baking, reading classic literature, and thrift shopping. Kaitlyn Bass was first introduced to the world of ballet at the age of four under the direction of Jane Anderson at Ballet Regent South in Jacksonville, FL. Moving to Kingsport, TN, her dance education continued at Kingsport Ballet, where her Vaganova training began with Valeria Sinyavskaya at age 12. The world of classical ballet was shown to Kaitlyn through performance and study, and under the artistic direction of Ms.Valeria, Kaitlyn performed both soloist and corps de ballet roles in classics such as “The Nutcracker,” “The Sleeping Beauty,” and “Giselle.” She has trained with the Tennessee Association of Dance, Sarasota Ballet, and Bossov Ballet, as well as with numerous guest teachers from around the world. She accepted a scholarship from Bossov Ballet, and was given the opportunity to travel to the St.Petersburg International Dance Open in Russia. Kaitlyn continued to further her dance education at the University of Memphis. While studying at the university, Kaitlyn participated in faculty and student showcases as both a dancer and choreographer. One of her proudest moments was watching one of her pieces performed on the stage of the Rose Theater, knowing her hard work and the work of her dancers would not go unnoticed. 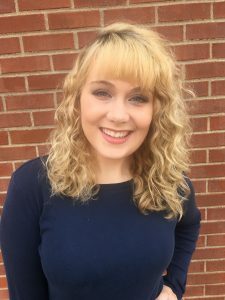 Since graduating, Kaitlyn has continued to study and teach dance at studios within the Greater Memphis Area. She has also begun studying ballroom dance to further her repertoire of dance knowledge, with hopes of competing on the professional level. 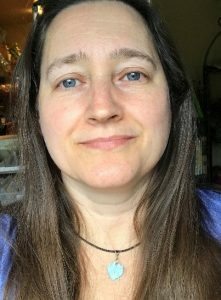 In her spare time, she enjoys spending time with her husband, Joachim, who comes from Germany and works as a supply chain manager in Mississippi, and their four fur-kids. Kristi holds an M.A. in Communication/Theatre and a B.S.E. in Theatre/Speech Communication. She taught in the Paragould School District and at Arkansas State University and Crowley’s Ridge College for a total of 12 years. 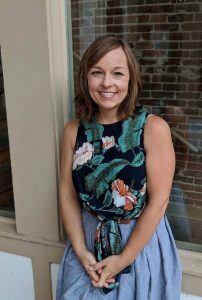 After teaching and directing at the FOA for eight years, Kristi joined the staff full time in 2008 as the Community Development Director, and then added to her role at The FOA, as the Artistic Director and eventually Executive Director. Kristi is currently training for her yoga certification, and we are thrilled she is gracing the Arts Center with this skill she is crafting. LeeAnn is a graduate of Jonesboro High School and has been dancing for 17 years. Her dance training began here in Jonesboro under the instruction of Katherine Kyle. Later, she studied under Heather Intres, Dr. Elizabeth Sales, and Stacey Alley at the Foundation of Arts. Training outside of Jonesboro includes two workshops in Mississippi with Ballet Magnificat!, and a summer at the Cecchetti International Summer School in Hope, Michigan. The most recent training was a two month intensive studying under Daniel Duell of the New York City Ballet, and Patricia Blair at Ballet Chicago. LeeAnn has also completed the Teacher’s Assistant Program through the Foundation of Arts, under the guidance of Heather Intres. After completing the program, she went on to teach for the Foundation of Arts for 3 years. LeeAnn has taught several different styles including lyrical, contemporary ballet, pointe, and dance team technique. She has served as choreographer for The Nutcracker and Spring Showcase with the Foundation. During 2008 and 2009, LeeAnn served as Assistant Director for the Nutcracker Ballet, and director for 2010-2012 and 2014. She has served as choreographer for Jonesboro High School’s FAME and Hairspray, and directed and choreographed 3 Spring Recitals for the Jonesboro Studio of Dance. In 2012, LeeAnn held the position as Dance Instructor for Jonesboro’s Visual and Performing Arts Magnet School. LeeAnn is currently the Education Programs Manager and Head Ballet Instructor for the Foundation of Arts. Maranda Nichols has been teaching Drama here at the FOA since 2010. She has always enjoyed participating in theatre productions. She began performing in church productions as a child then worked in community theatre and Nettleton High School productions as a teenager. She then performed in parades and shows at Walt Disney World. Her favorite roles in previous productions include Judy in White Christmas, Mrs. Brill in Mary Poppins, Frenchie in Grease, Gingy in Shrek: The Musical, Alice Beane in Titanic, Ado Annie in Oklahoma!, Belle in Disney’s Beauty and the Beast, Grandmother in The Legend of Sleepy Hollow, Alice in Flowers for Algernon, June in A Sander’s Family Christmas, Mrs. Pugh in Annie!, Chorus in Joseph and the Amazing Technicolor Dreamcoat and Martha Cox in Disney’s High School Musical. 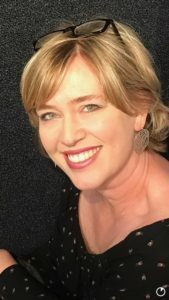 Offstage, she has served as Stage Manager for the Spring Showcase¸ Makeup-Artist for Treasure Island, served as the Assistant Director for A Christmas Carol and Les Miserables, and directed Disney’s Camp Rock: The Musical, Schoolhouse Rock, Live!, It’s A Wonderful Life, Steel Magnolias, 13! The Musical, A Little Princess, Bye Bye Birdie, and most recently, Peter Pan, Jr. She has a BS in Biology with a minor in Honors Interdisciplinary Studies from UCA, a Master’s in Public Health from A.T. Still University and a Masters in Physician Assistant Studies from Harding University. She is a member of FUMC Jonesboro. She also works to continue her education by taking dance classes and workshops here at the FOA. annual Nutcracker Ballet, working as a choreographer, set design team, Stage Manager, and Assistant Director. Carrie holds a BSE in Art Education. She is currently in her 17th year as an art teacher a Brookland High School. Carrie has also taught is Campbell and Dexter Missouri, making this her 25th year in teaching. She married to Bill Hatton and has two sons, Ian and Griffin, who attend ASU. She is looking forward to her first year on staff at FOA! Sametta Jackson-Parker has lived in the Jonesboro area since 2012. 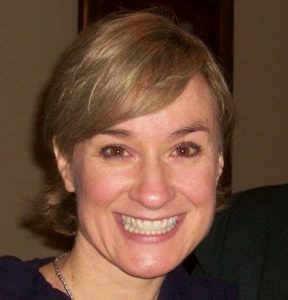 Before moving to Arkansas with her family, she taught secondary English in Alabama’s public schools for over ten years. During that tenure, Parker taught Theatre Arts and Speech at Sidney Lanier High School, where she was also artistic director of the school’s first touring dance ensemble, Poetry in Motion. Her love of fine arts began during childhood through music, theatre and photography. She grew up performing in various school, church and community dramas. In high school, she was a member of the International Thespian Society Troupe 1587 in Anchorage, Alaska, where she earned Honor Thespian status and competed at state level. While attending Tuskegee University, Parker was a member of the Tuskegee Little Theatre where she worked as assistant director and studied under actress Tonea Stewart. In addition to performing arts, Parker is a self-taught artist. She began drawing and etching simple sketches in college and eventually began creating portraits and other fine art designs. She has previously shown items at the Craighead Library in Jonesboro and was a featured artist of the Foundation in April 2016. In 2014, after retiring from teaching to become a full-time caregiver for her terminally ill husband, Sametta began to make jewelry. She is now the owner/artist of Studio SammieJay, where she creates unique custom orders for her clients. Parker is also a published author of three novels, two plays, and a collection of poetry under her pen-name, S.J. Parker. She is currently working on a project depicting African and African-American folktales, and the personal narratives of former slaves in Arkansas. She is widowed and the mother of two children. Savannah Strickland is a senior Strategic Communications/Public Relations and Social Media Management major and Spanish minor at Arkansas State. She will begin working on her Master’s degree in August of 2018. She has been a ballet instructor at The Foundation of Arts since August of 2007, and was in The Nutcracker Ballet from 2001-2013. She has been a choreographer for The Nutcracker Ballet for the past two years. She attended a six-week dance intensive at Ballet Chicago during the summers of 2010 and 2011. A few of her favorite dance roles have been the Lilac Fairy in Sleeping Beauty the Ballet and the Angel Queen and Snow Queen in The Nutcracker Ballet. In her free time, Savannah enjoys hanging out with her friends, going to church, working out, and volunteering with her sorority sisters. Meridith is a Jonesboro native and long-time employee/volunteer at the FOA. She holds a Master’s degree in education and taught elementary school for 6 years before deciding to become a stay at home mom. She now splits her time between her role as Associate Director/Marketing and her two children, ages 2 and 5. As a former majorette, she hopes to pass on the art of twirling to a new generation and have some fun along the way! 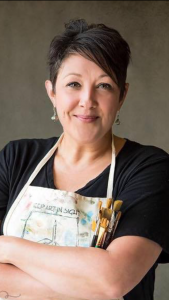 Penny Jo Pausch is a graduate of Arkansas State University where she earned her BFA with an emphasis in Studio Painting. She is an award winning artist with several of her works placed around the world. She also loves to write, garden, cook, sew and just create! She is currently working on publishing a children’s book she has written and illustrated. Emily Allen has a master’s degree in photojournalism from Boston University. She also has a bachelor’s degree in Sociology. She has worked in Boston for several newspapers and covered various events including professional sports, breaking news, and cultural entertainment. She’s photographed families, weddings, and celebrations. She enjoys black & white photography as well as color. She shoots with a digital camera but is nostalgic for her days in the dark room developing film. She has lived in Jonesboro for over a decade, and she is the mother to three children, which have become her favorite subjects. A native of Chicago, Michelle Edwards began her dance training at the age of three. During elementary and high school, she studied with Joyce Harley and at Stone-Camryn School of Ballet. She was a member of Orchesis Modern Dance Club and was selected to perform at the Illinois State Dance Festival as a teenager. She continued her education in Texas and earned a B.S. in Social Work from Abilene Christian University. Active in the university’s theatre department, Michelle regularly performed in musicals such as West Side Story and Fiddler on the Roof. While in Texas she became a contracted member of Abilene Metropolitan Ballet Company under the artistic direction of Marj Baucum (Ballet Russe, National Ballet Arts). During her tenure with the company she was the Principal Dancer for four years, Co-Assistant Artistic Director for three years and a recipient of the annual Senior Achievement Award. Later, she started her own Christian ballet company, Deo Gloria, which ministered across the Southwest. After leaving Texas, she danced, taught and choreographed extensively with Kingdom Dance, a Christian dance company out of Memphis that ministered in the Mid-South and across the country. Michelle has danced internationally in Germany, Mexico and Zambia (by invitation from Zambia’s Vice President). She still enjoys dancing, choreographing and teaching at The Foundation of Arts. Her other interests include painting, decorating and gardening but especially quality time with her husband Gary and daughter Cacie. Caroline has been involved with the Foundation of Arts since she was 6 years old. She started out participating in productions, Pinocchio being her first, but quickly took up tap and jazz. At the age of 12, she began her journey into ballet. Since then, she has learned many more styles of dance including hip hop, lyrical, and modern through dance team and various master classes around Arkansas and Alabama. She also later studied ballet with the Huntsville Ballet Company. She is so excited to share everything she has learned!